America’s most popular dog breed, the Labrador Retriever is friendly, a loving, and high-energy creature. If you are looking for a medium to a large dog for your family, to show, or to add to your breeding program, the Labrador Retriever may be just right for you! There is a lot of information you should know before buying a Labrador Retriever puppy. However, reading the entirety of this article will give you a start on the right path. Depending on the gender, Labradors can stand from 21.5 inches to 24.5 inches tall and weigh between 55 and 80 pounds. This dog has a dense coat that comes in one of three colors: black, yellow, or chocolate. It has a wide head, eyes that shine with love, and an otter-like tail that seems to be always wagging. This dog breed is well-known for being easygoing and friendly to everyone in the family, as well as other dogs and neighbors. Do not take his easygoing for a lazy nature, though. Labradors need lots of exercises every day or they can become destructive. How much do Labrador Retriever puppies Cost? The average cost of a Labrador Retriever puppy from AKC-registered breeders, between $800 and $1200, but there are other costs you will need to factor in. You probably already factored in the cost of a good puppy food, but what about toys and veterinary care? You’ll need to include these costs in the cost of your puppy as well. For vet nary care, you are better off getting veterinary insurance, since most care these days is at a much higher cost than it used to be. It’s not that it is more expensive, but rather it is that veterinarians can do so much more advanced care these days. Look around and find a veterinary insurance you want to include and add the monthly payment to your puppy’s cost. 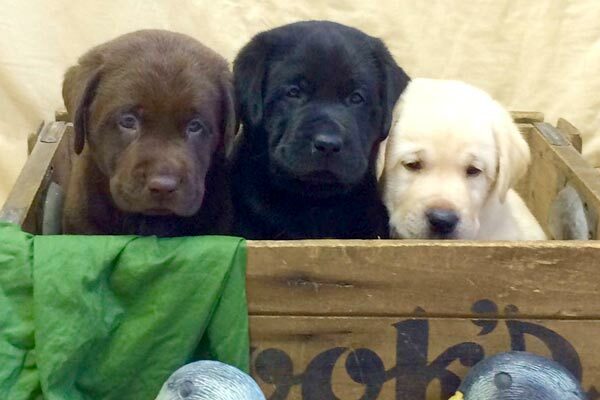 Where Should You Buy Your Labrador Puppy? The American Kennel Club’s Marketplace is a great place to search for a Labrador puppy. Going to the section on Labrador puppies gives you a listing of over one thousand breeders who breed these dogs. You can look around among these and be ensured that whichever one you pick is AKC certified, meaning the breeder followed the rules and guidelines set forth by the American Kennel Club. The best way to find out if the breeder you’re looking at is the right one is to call the breeder and interview them about their breeding program and the puppies they currently have. Each h breeder’s page will have a contact number, along with how many puppies they have for sale, where they are, and any distinctions they have received. Another way to find some breeders is on Facebook. By searching for “Labrador breeders,” you can find some decent breeders with Labrador Retriever puppies for sale. If you add the name of your state or country, you are even more likely to get a breeder in your area, whom you can speak in person with and visit the puppies of before deciding on one. If you are looking for information about what to look for in a puppy once you find the breeder you want to work with, check out this video about choosing your puppy out of the litter. What are the Daily Requirements of a Labrador Puppy? 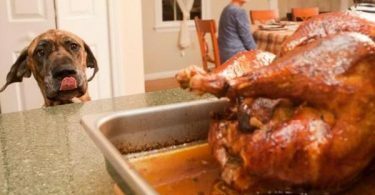 Of course, your dog will need daily food and water, but there’s more to it than that. Your dog will want attention in these areas daily to be happy. Exercise requirements are at least one hour per day. the best way to give a lab the exercise he needs is to go for a nice run with him. this also gives you exercise which is much needed. If you cannot take him for a run, though, you can also take him to a dog park, play ball or frisbee, or locate a pond he can go swimming in. The average daily requirement for a labrador dog is one hour, according to Labrador Training Headquarters, and that exercise can be received through various means. If a dog does not get the exercise he needs, you will soon know. He may tear around the house, chew on shoes or socks, bark or dig a lot, or may not listen to commands he’s been trained to for a while, you’ve got one thing to do: exercise that dog! According to Michelle of PawPrint, a full-grown dog can go 5 hours between bathroom breaks, while a puppy can go according to a formula. This formula means to add one to the number of months old the puppy is. For example, a 6-week-old puppy can wait 3 hours, whereas a 6-month-old puppy should be taken out every five hours like a grown dog. There have been people who say ten hours is acceptable to keep a dog waiting, but that is probably more according to their needs than the dogs. If you have to work long hours away from home, you will need to get the help of a dog walker, doggy day care, family members, or neighbors to ensure your dog gets out in time. Otherwise, you will be left with a mess on the floor and perhaps a dog with bladder, kidney, or constipation issues. Another cost of owning a Labrador Retriever is his grooming needs. A regular grooming of your dog will give you the chance to find problem areas before they become worse and let you bond with your dog. The steps to a daily grooming are as follows, according to Joel Watson. Massage all over the dog’s skin and look for masses, bumps, scaly skin, or the like. This not only catches things before they get worse, but it also loosens dead skin and hair to make it easier to brush away. While brushing is only necessary once a week, it is a great feeling for your dog and an easy way to keep him looking immaculate. Brush out all the dead skin and hair that has been shed. This brushing stroke will also simulate the natural oils, causing his coat to shine. Frequent bathing can dry out a dog’s skin, so do not do it too frequently. It is best to only bathe your dog if he is truly dirty. Otherwise, use a good nylon brush to clean out anything clinging to his furs, such as dried dirt or leaves and grass. Just clean the brush afterward instead of the dog! Check your dog’s ears and eyes daily. If the eyes look irritated or have a discharge, go ahead and wipe them with a cotton ball doused in saline. If you see any problems, consult your vet as the dog may have an eye infection. For ears, only clean the visible parts, but if they look dirty or waxy, you may clean those parts with a cotton ball dampened with ear cleaner. If you see redness, a foul odor, or your dog scratching a lot without a visible reason, take him to the veterinarian. He might have an ear infection or mites. This is one of the most important tasks of a good grooming routine. Your puppy will quickly realize that it does not hurt, so long as you don’t cut the quick. In light-colored Labrador Retrievers, you can see the quick, but with black and chocolate labs, you will just have to guess. Clipping nails frequently will make the quick retract, but if you do cut it, you can use a styptic stick or a Chapstick to stop the bleeding. Brush the lab’s teeth every day to keep him healthy all over. In fact, according to Joel Watson, dental plaque can get into your dog’s bloodstream and cause heart disease. Use a soft brush meant for dogs and a doggy toothpaste and just lift the Labrador Retriever’s lips and softly brush the outside of his teeth. Canned dog food is more likely than dry dog food to cause dental issues. Dry dog food is not only the smarter choice for dental care, but it is more cost-effective while still being just as nutritious. If necessary, consult your vet on the best pest control product for your dog. It should cover fleas, ticks, and worms. What kind of toys should you get your lab for playtime? Labrador Retrievers are ruled by their stomachs, so having a training toy that has a food compartment in it is a great idea. Add some wet dog food, peanut butter, or cheese to the inside of a training toy and your dog is sure to know you mean “Atta boy” when you give him this toy. Labrador Retrievers need lots of chewing time. Hard, bone-like toys are not only great for your lab’s playtime; They can also be excellent dental care products. No matter what, though, a stuffed animal or another soft toy cannot be a chew toy. You will just end up with shreds of toy everywhere, and a dog that potentially has cotton stuck in his stomach. This can be a lethal condition. Labs love to play Fetch. Most labs love to play fetch, which is why getting some fetch toys is a super idea. There are some obvious fetch toys, like Frisbees and balls, and there are some less obvious, like a tennis ball on a ball thrower or rubber chicken. What are some great solo play toys? You cannot be playing with your dog all day and all night, so your dog will need some solo play toys as well. If you want your dog to learn when his alone, try a puzzle toy, which requires the lab to push, pull, twist, and bite his way to a treat of dog food in the middle. This has another advantage in that it keeps the dog quite while he tries to sort things out. What about toys for puppies? When you first get your puppy, however much you want to, the toys mentioned above are not going to be right for him. You will need special puppy toys for the new dog in your life. This includes soft toys and teething toys. Soft toys can be little-stuffed animals or bones that are meant to be gentle for your puppy to throw around, so he does not get hurt. Teething toys come in a wide variety. they can be soft or hard, frozen or room-temperature. Consult your pet store assistant if you do not know which one is best for the age group and amount of teething of your puppy. -to tug or not to tug, that is the question. One type of toy we have not covered in this article so far is the tug toy. There is an important reason behind this. 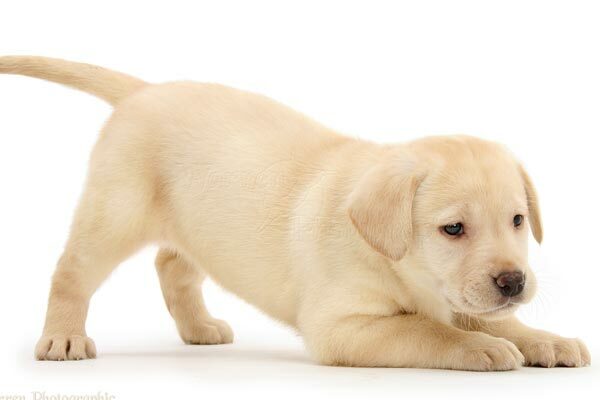 Labrador Retrievers tend to get aggressive when interacting with a tug rope or even a sock that’s acting as a tug toy. Why do Labrador Retrievers get aggressive with a tug toy in his mouth? This is because labs can get possessive and will not think of your tugging as a friendly playtime, but rather someone trying to take his toy away. Your lab may also want extra tender loving care. While you cannot be with your dog all day and all night, there will be many times your lab will want to just sit at your feet or curl up with you and get special attention. Expect this, because it’s another cost of having a Labrador Retriever; you will often not be alone when you are at home. 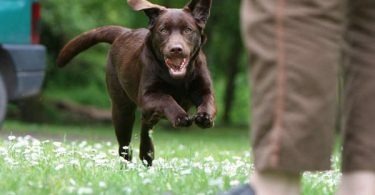 There are many and varying costs associated with owning a Labrador Retriever, whether he’s a puppy or an adult. These include food, toys, veterinary care, grooming products, leashes and collars, and the time associated with spending time with your dog. Every day will be a new adventure, of course, but you need to remember that every day has its costs, too. Looking for a Great Medium-Sized Dog?